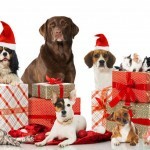 Christmas is a time of giving, and for many of us pet owners it’s important that our pets aren’t left out of the festivities. So to help you find the perfect Christmas present for your pet, we’ve put together this list of our favourite gift ideas. 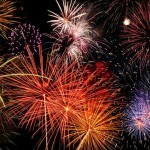 Hopefully it will help make this Christmas extra special for you and your pets. 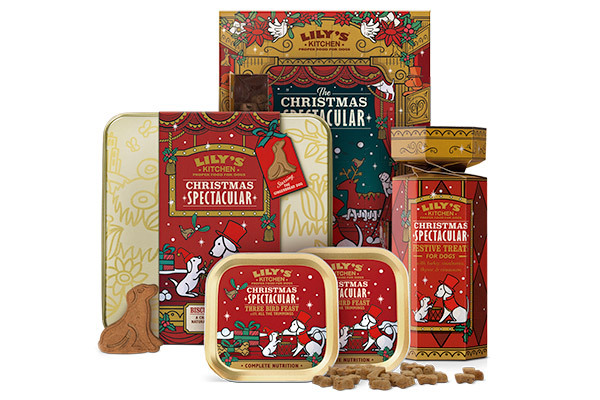 If your cat or dog likes Lily’s Kitchen pet food, then this is the ultimate Christmas gift for them! Each window in the advent calendar is generously filled with Lily’s Kitchen naturally wholesome treats for your cat or dog to enjoy each day. These products are limited edition, and tend to sell out early so get your order in quickly so you and your pet don’t miss out! If you’re not sure what to get your pet cat or dog for Christmas, then how about one of these limited edition surprise gift boxes from zooplus? 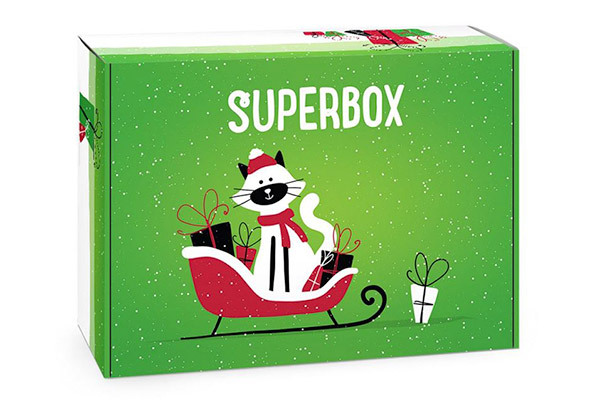 This 12-piece special edition cat gift box contains a soft toy and a selection of great-tasting different wet and dry cat foods, as well as a variety of cat snacks and supplement products. Each of the dry and wet foods or snacks in this taster box has been carefully selected from top brands, including Hills, Iams and James Wellbeloved. 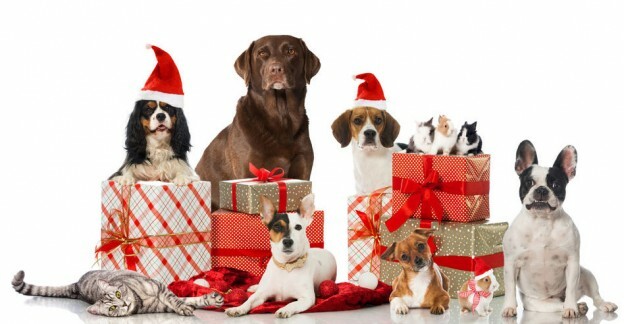 The dog gift box is filled with 13 different products. There is a cute toy to keep your dog amused, 7 different wet and dry foods, as well as 4 delicious snacks and a useful roll of poop bags. Each of the wet and dry foods and snacks in this taster box has been carefully selected from well-known brands, including Arden Grange, Hills and James Wellbeloved. 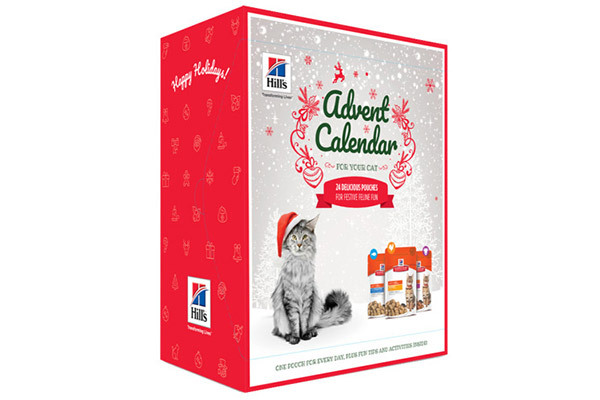 There are a few advent calendars available for pets, but this one is rather special! The Hills Science Plan Christmas Advent Calendar for Cats has a full-sized pouch of tasty food for each of the 24 days. As well as a delicious pouch of food for your cat, there is a fun feline tip hidden behind each door. Part of the fun of the Christmas season is dressing up in festive Christmas jumpers. 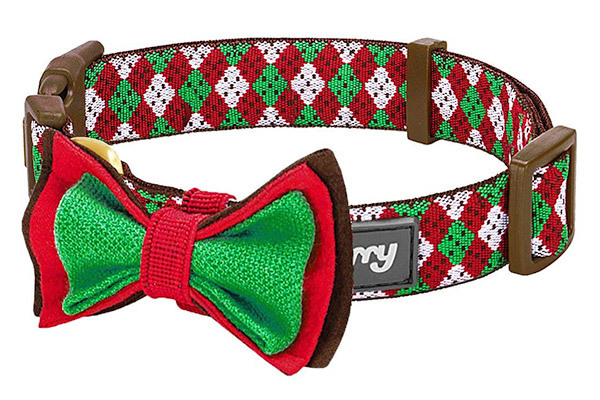 Now your dog can join in and look the part with this very cute Christmas Party collar. The classy Christmas colour combinations of burgundy red, creamy white and emerald green are perfect for the festive celebrations. And to top it off, it comes with a lovely bow tie for extra festive cuteness! 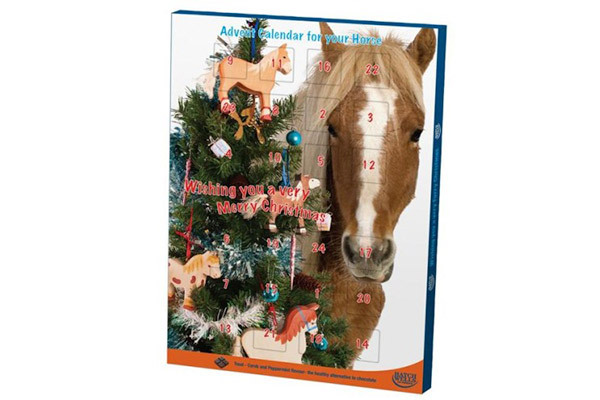 It’s important to include all pets in our celebrations, and this Horse Christmas Advent Calendar means your horse or pony can also join in with the exciting build-up to Christmas! It is filled with 24 delicious carob and peppermint flavoured treats that your horse can enjoy each day. The treats can be broken down into 4 smaller treats, so ideal for sharing. What better way to keep your faithful friend warm on these dark and cold winter nights than this amazing Charley Chau luxury dog bed. 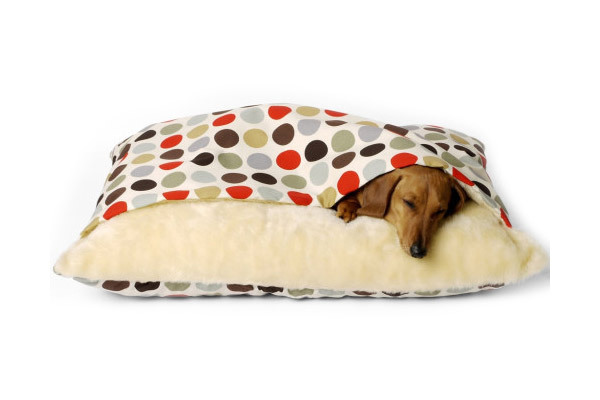 It’s designed for dogs who like to snuggle underneath blankets, particularly Hounds and Terriers. These luxurious beds are made in England, and feature warm and comfortable soft faux-fur fleece lined pockets for your dog to sleep inside of. Any dog lucky enough to receive one of these will find a luxurious and plump mattress, created with internal wall panels to ensure there aren’t any lumps and bumps. The outer cover is removable, and the whole bed is machine washable. Tigga Towers make some of the must luxurious and amazing cat towers you can buy. This Tower in a Box is a new design and perfect to give your pampered cat as a gift! It is compact in design, and arrives in a box – perfect for wrapping up for the big day! It’s also a bit smaller than their other cat tower designs, so ideal if you want the quality of a Tigga Towers tower, but don’t have the space for one of their larger towers. 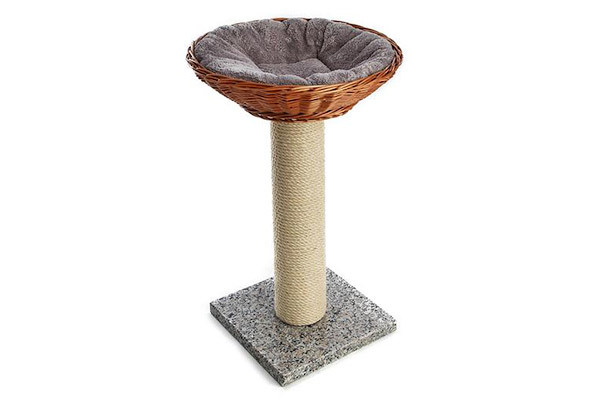 The tower itself is very well made, and features a thick 60cm tall scratching pole fitted to a sturdy granite base. On top of the pole is a cosy round wicker basket lined with a comfy grey and white cushion. As an added bonus, the large box it comes in will make a fantastic play house for your cat! If your small furry pets have been good this year, then maybe Santa will deliver them this festive Christmas Treat Stocking. It’s made from only 100% natural ingredients, and is perfect for small animals such as rabbits, hamsters and guinea pigs. 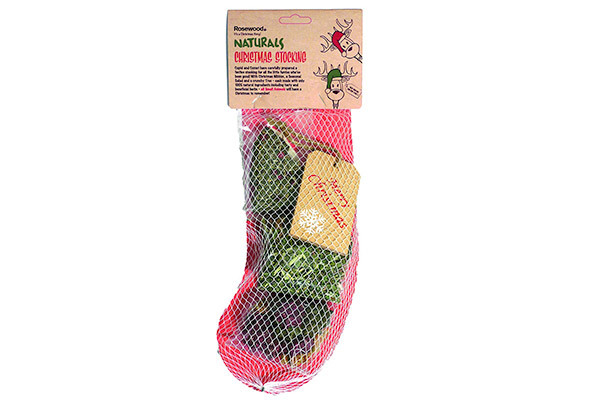 The stocking contains Christmas Nibbles, a Seasonal Salad and a crunchy Tree. 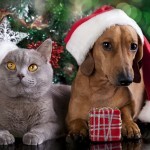 This entry was updated in Cat, Christmas, Dog, Products, Toys on December 6, 2018 by Ed.